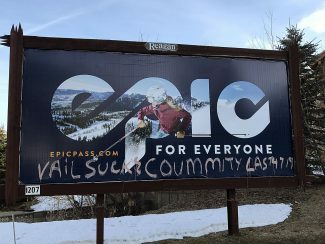 Backcountry.com and a grant from Summit County, but mainly by the federal government. Because there is little or no state funding for land conservation in Utah, without federal support, through both funding mechanisms and tax benefits, land along the Weber River in Summit County could not be saved. This land is extremely expensive due to the development pressures it faces. Another important part of this partnership came together last week as our congressman, Rep. Rob Bishop, voted to make tax incentives for easement donors permanent. This is important national legislation that will save land right here in Summit County. We hope that the U.S. Senate will take similar action soon. As your story mentioned, Rocky Mountain Power helped the eagles by building a new nesting platform on Bob's property. The Rocky Mountain Power Foundation has been supporting the Conservancy's land conservation programs through direct grants since 2013. These funds are especially critical due to the shortfalls in state conservation funding, so support from business and private foundations, like the George S. and Delores Dore Eccles Foundation, is essential. But, most importantly, there's no grant writing, there's no meeting with willing landowners, there's no one to catalogue the wildlife, without support from the Summit Land Conservancy's members. Our membership makes all of this possible. 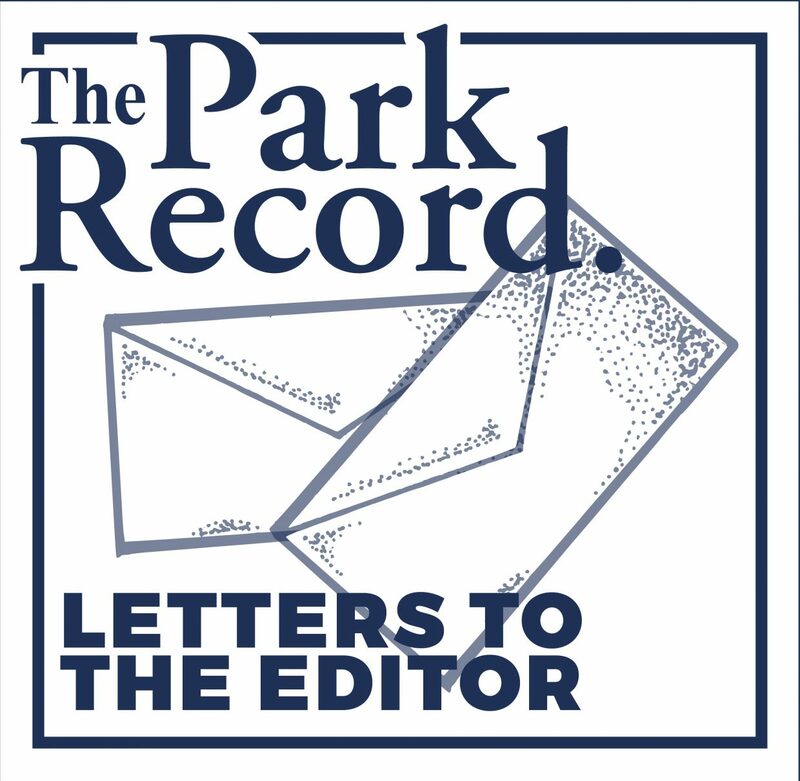 Thank you to The Park Record for helping us all stay informed. As I recently watched the compelling TV reminder by Doug Miller’s daughter of how her father could have been saved from colon cancer had he just gotten a timely colonoscopy it struck me that only people who have health insurance can make that choice. Fifteen years ago, at 51, I was saved from a fatal heart attack by angioplasty. Two spinal-disc surgeries, at age 41 and 51, also allowed me to remain physically active and productive enough to build a business and raise a family. Without health insurance I’d be crippled or dead long ago. The fact is that without the medical care provided through good health insurance nearly all of us are one accident, cancer, or chronic illness away from physical and financial ruin. We are all "medically fragile," which is how the sponsor of one alternative health care proposal now being considered by our legislators describes just over 10 percent (16,000) of the uninsured poor who it recognizes as poor enough, needy enough, yet still trying to work hard enough to qualify for compassionate inclusion in Medicaid under state option provisions of the Affordable Care Act. We can do much better. Please urge your legislators to reject that proposal (a.k.a. "Frail Utah") and vote for Governor Herbert’s "Healthy Utah" insurance plan. It will extend Medicaid coverage to 146,000 Utahns, giving them all a much better shot at living healthy, more productive lives, and saving hundreds each year from preventable death. Why is this such a hard choice in Utah? I can only guess that toxic politics clouds the judgement of many otherwise kind, and mostly Christian people. So, to them I ask, which is the greater evil: accepting "tainted" federal money (primarily our own taxes coming back to us), or refusing to help less fortunate neighbors in need? Is there really any question What Jesus Would Do? Despite rising college costs, American families continue to believe college is an investment in a child’s future. With more than 12 million accounts open nationwide, 529 college savings plans have proven to be a successful way for families to make that investment. These plans offer tax advantages and can be used toward qualified expenses at colleges, eligible technical schools or even graduate schools. mid-2014, total investments by American families in 529 plans reached $244 billion, according to the College Savings Plans Network. Utah’s 529 plan manages more than $8 billion in assets in more than 277,000 accounts. Because American families consider saving for college a priority, Congress is working to ensure these vital savings vehicles remain as versatile as possible. Reps. Lynn Jenkins, R-Kans., and Ron Kind, D-Wisc., have introduced HR 529, which would make computers a qualified expense, simplify paperwork and allow parents to return a college refund to an account tax-free within 60 days. These are common-sense measures that help families save for college. No one should be denied access to higher education because they cannot afford it. The improvements in this federal bill will help put a college degree within reach for more youth. We encourage Utah’s congressional delegation to support HR 529. Thank you for covering the story about the bald eagle nests near Henefer on Feb. 18. Your story highlights how collaboration between many different and disparate people and organizations can produce great results for wildlife. The Summit Land Conservancy would like to acknowledge some of these same partners because they have helped save land in Summit County. First of all, the landowner, Bob Richins, who provided the land for the new nest installed by Rocky Mountain Power and the Division of Wildlife Resources, is an inspiring example of good stewardship. Bob has won conservationist awards, and he placed over 50 acres of his ranch along the Weber River in a permanent conservation easement in 2013. The Summit Land Conservancy is honored to have worked with Bob through the process of permanently protecting this land and his family’s way of life. The easement on Bob’s land was funded in part by a gift from Backcountry.com and a grant from Summit County, but mainly by the federal government. Because there is little or no state funding for land conservation in Utah, without federal support, through both funding mechanisms and tax benefits, land along the Weber River in Summit County could not be saved. This land is extremely expensive due to the development pressures it faces. As your story mentioned, Rocky Mountain Power helped the eagles by building a new nesting platform on Bob’s property. The Rocky Mountain Power Foundation has been supporting the Conservancy’s land conservation programs through direct grants since 2013. These funds are especially critical due to the shortfalls in state conservation funding, so support from business and private foundations, like the George S. and Delores Dore Eccles Foundation, is essential. But, most importantly, there’s no grant writing, there’s no meeting with willing landowners, there’s no one to catalogue the wildlife, without support from the Summit Land Conservancy’s members. Our membership makes all of this possible.